Kdan Mobile, a Taiwanese startup that makes cloud-based software for content creators, announced a $5 million Series A today, raised from investors including W.I. Harper Group, Darwin Venture Management and Accord Ventures. Founded in 2009, the Tainan City startup says its products have been downloaded more 120 million times, with about 40% of its customers located in the United States. Its Series A takes Kdan Mobile’s total funding so far to $6.5 million. The capital will be used for product development, including blockchain-based encryption for documents and real-time collaboration features, to appeal to enterprise and education users. The company also plans to spend more on user acquisition in the U.S. and China, two of its growth markets. Kdan Mobile’s products include Creativity 365, a software suite with a mobile animation creator and video editor, and Document 365, launched last year to attract enterprise users. The company also recently began offering new subscription plans for businesses and educational organizations and claims that its cloud platform, called Kdan Cloud, now counts over 3.5 million members. 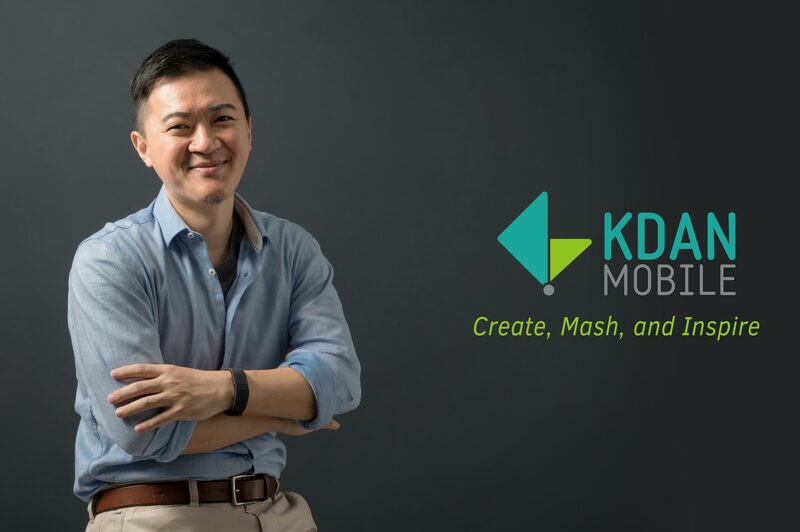 Founder and chief executive officer Kenny Su says Kdan Mobile is seeking new partners that will allow it to establish a bigger presence in markets like Japan. One of its Series A investors, Accord Ventures, is based in Tokyo, and Kdan Mobile may start marketing to the country’s animation industry, Su tells TechCrunch. The company already has partnerships with Taiwanese mobile services provider GMobi, Jot Stylus maker Adonit and Ningbo, China-based design sharing platform LKKER. Su says one of the ways Kdan’s products differentiate from cloud-based software by Google, Microsoft, Adobe and other major competitors is its focus on artists, designers and other creative professionals. Kdan’s products were also created to allow users to start projects on mobile devices before moving onto desktop apps. As many users of Google Docs, Office 365 or Adobe Creative Cloud have discovered, accessing them on mobile devices feels much more awkward than on desktop. Kdan Mobile, however, was founded just as smartphones and tablets usage was becoming widespread, and its products were created specifically for mobile. “We are trying to fill the gap, helping users create content on mobile and then allowing them to finish it in a desktop environment, not only with our own tools, but also by exporting to other places including Adobe,” says Su. Part of Kdan Mobile’s Series A financing will also be used to figure out how to the company can increase the use of artificial intelligence in its products. Kdan Mobile already uses machine learning algorithms to improve its software by analyzing what users upload and recommend on its content sharing platform.